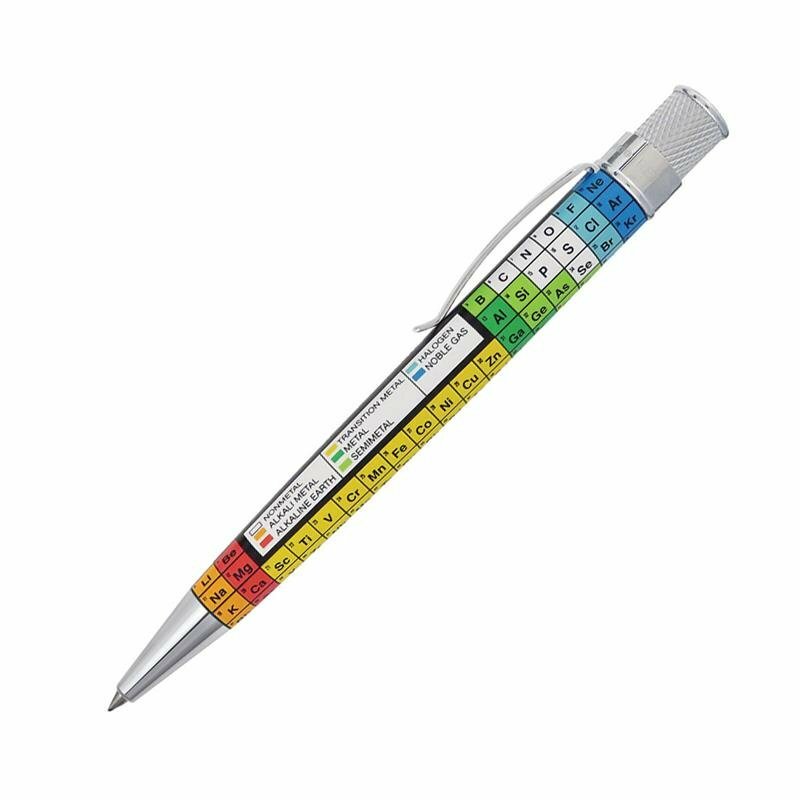 Retro 51 Tornado Vintage Metalsmith Rollerball Pen, "Dmitri" printed with periodic table graphics, chrome accents and a radiation symbol on the top cap. 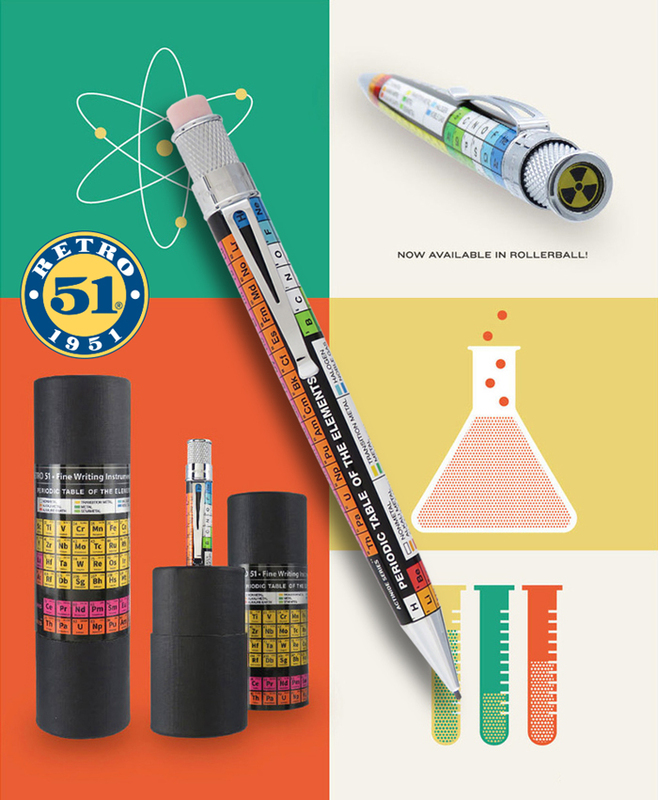 It is fitted with a smooth flowing rollerball refill that is retracted with its patented knurl twist-top. 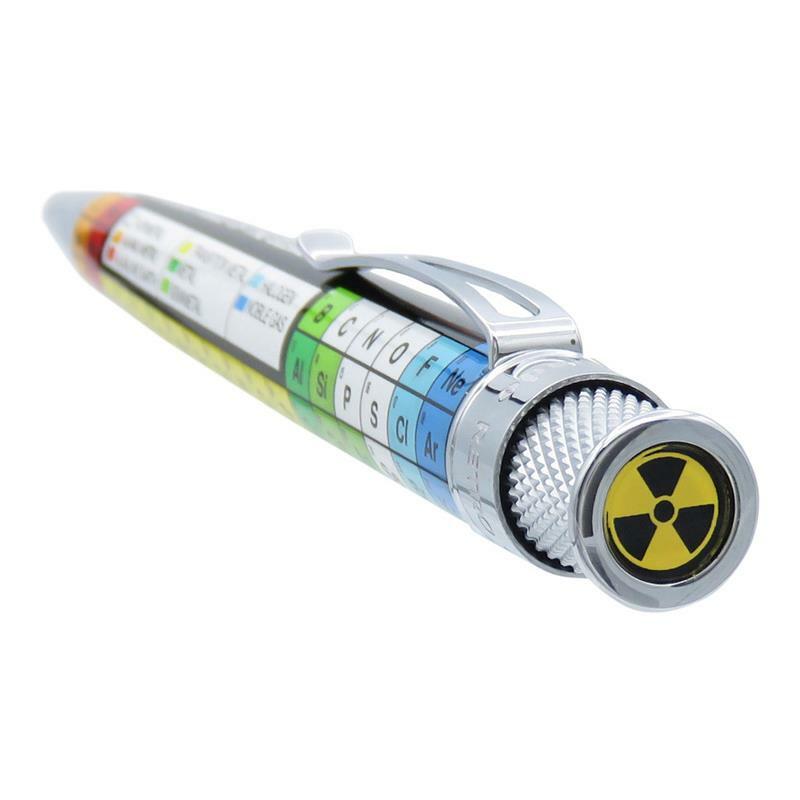 Replace the rollerball with any readily available Parker-style ballpoint refill and your Tornado is now a ball point pen.